The sheer magnitude of Super Typhoon Yolanda came as an early – and unwelcome – shock to the citizens of the small coastal town of Naval, Biliran. 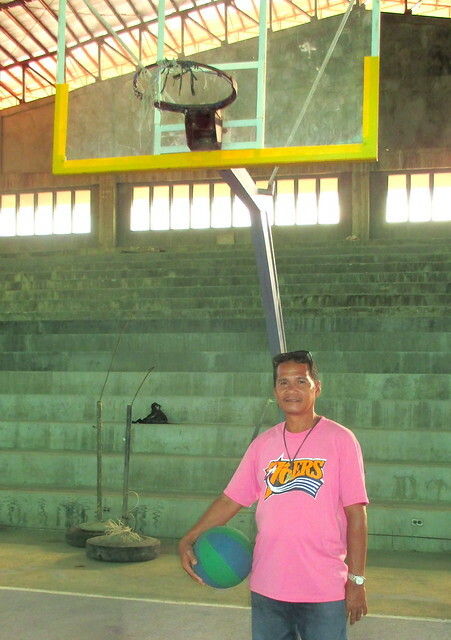 Naval resident and local basketball coach Pedro S. Salomon Jr. The local gymnasium, used as a venue for provincial basketball games, was completely destroyed. “You had a full view of the sky from inside the building,” Pedro remembers. Used as an evacuation center during the disaster, evacuees like Pedro himself could only watch as the building struggled to protect them, and withstand the gale-force winds. “When the storm starting tearing off the roof, the evacuees beneath were transferred to other, safer facilities,” he says. 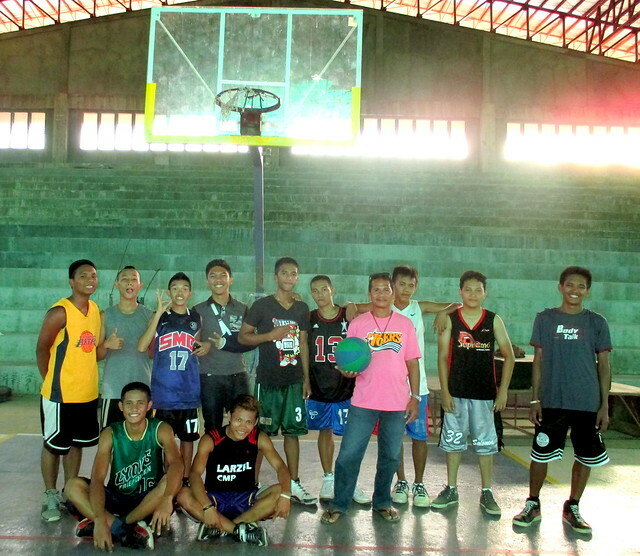 Coach Pedro gathers with local basketball players for a photo in the newly-rehabilitated Naval Civic Center – July 2015. While recovery efforts were underway, local basketball players switched to a temporary venue. “We used another gym… because it was the only venue available,” Pedro says. With support from RAY DILG funds, a more resilient roof and new polycarbonate walls were placed in the civic center: for the first time, windows were also installed to allow for added weather protections. “Mostly, we feel much safer now,” he says. 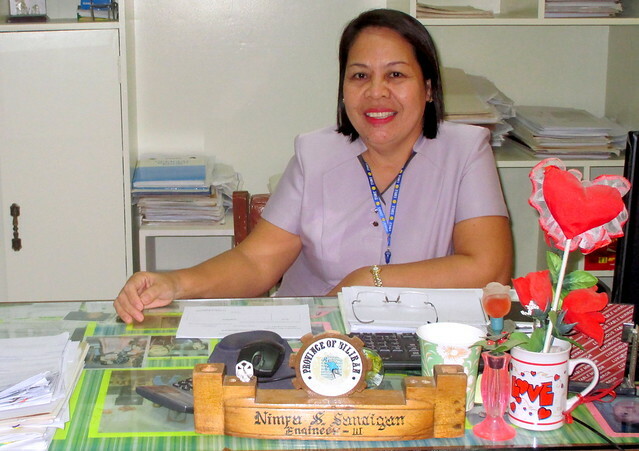 Before leaving Region VIII, Yolanda would not spare the smaller province of Biliran. 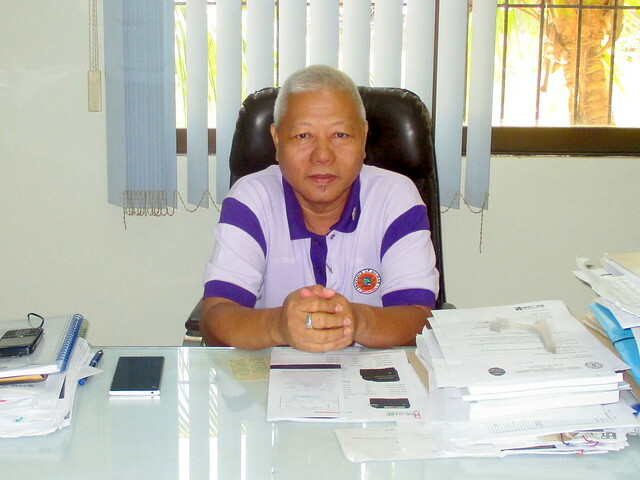 “Yolanda taught us what a ‘storm surge’ is like,” says Alberto S. Tan, a local administrative aide. High water levels, along with gale-force winds, proved devastating. “There were debris everywhere,” provincial engineer Ventura B. Barbanida. “Trees were uprooted, electric posts were down.” The provincial capitol building, civic centers, local gyms, schools and buildings each sustained extensive damage. “Our (municipal) office looked like a junk shop,” Alberto remembers. 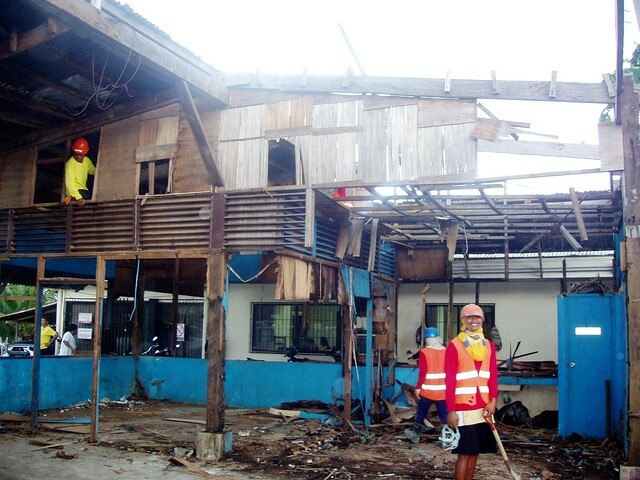 The Biliran Office of the Provincial Engineer sustained extensive damage during Super Typhoon Yolanda. The new motorpool office is also much improved. “Employees from other departments are very impressed, and our stockroom is also more secure, minimizing our losses,” Alberto adds. 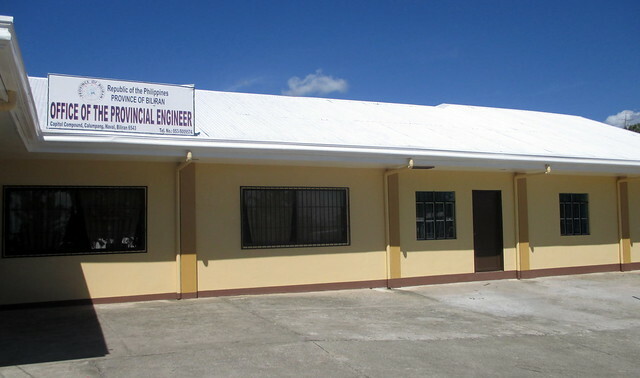 The Biliran Office of the Provincial Engineer has since been rehabilitated with support from RAY DILG – July 2015.